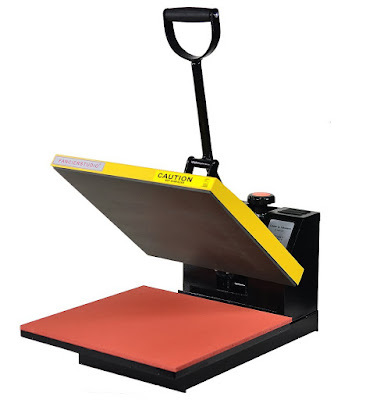 Win Silhouette U for a Year! Silhouette School is expanding...opening up Silhouette U on October 4!!! I haven't been as excited or as nervous to launch a new service or product since I put out my first book, The Ultimate Silhouette Guide. Now if you didn't win...don't worry you can still join us at Silhouette U. I know you're dying to know "So what's this Silhouette U all about anyway?" Silhouette U is Silhouette School's new exclusive membership site offering premium content to members. Not clickable yet...but I will be on Silhouette U! As you can see the Events calendar is already stacked...and the best part about it is each week the live chat help (aka Melissa's Office Hours) will be scheduled at a different time to accommodate those on various schedules and in different time zones (including evening times). The same goes for Live Q and A...can't guarantee on how put together I'll look at 9pm though :). Will Silhouette School still be Silhouette School? YES!! Most definitely! Without a doubt! 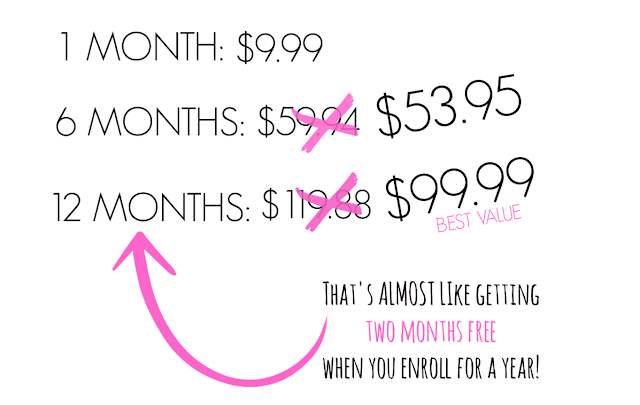 Silhouette School Blog isn't going anywhere and that part of our business will ALWAYS remain free! Silhouette School INC (yup, we incorporated...so fancy) is just growing! 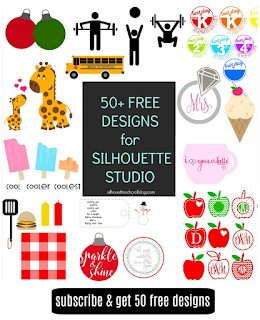 I will continue to share new Silhouette tutorials on the blog daily and the Silhouette School Facebook page will also remain exactly the same with several weekly Facebook Lives. When Can I join Silhouette U? Silhouette U is opening for enrollment on Tuesday October 4! If you want to make sure you don't miss it, the best thing to do is sign up to join the email list to be notified when we launch! 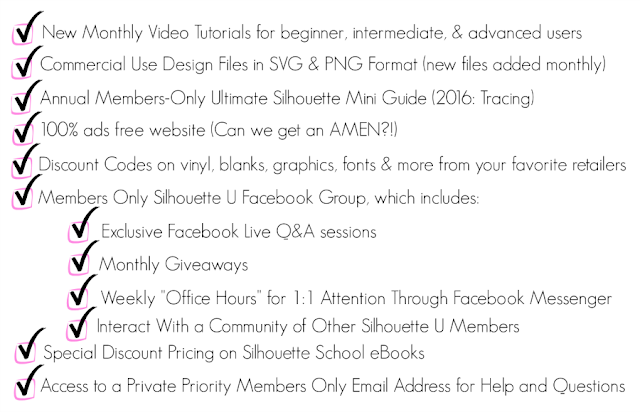 How do Silhouette Video Tutorials Work on Silhouette U? We have created three categories of videos based on user skill level and experience: Beginner, Intermediate and Advanced. We are launching Silhouette U with 14 video tutorials all between 5 and 9 minutes long and on a wide range of topics including: Pixscan, Cameo 3, Knockout Designs, Using the Layers Tool/Pane in Silhouette Studio, Adding Descriptions and Notes to your Silhouette Studio designs and more! Each month, new videos will be added to each category. All Silhouette U members will be able to access all of the videos all of the time by streaming. 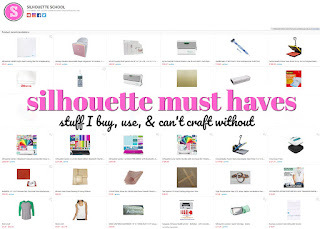 Is Silhouette U Mobile-Device Friendly? Yes! You can access the entire Silhouette U website - including streaming all of the videos - on your mobile devices (ipads and phones). We'll even show you how to make an app-like icon on your device's home screen so you can simply tap it and go directly to Silhouette U! 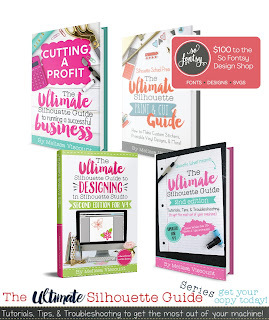 If I'm not a Silhouette U Member Can I Buy the Ultimate Silhouette Guide to Tracing ebook? Sorry...nope! The special edition Ultimate Silhouette Guide to Tracing is a 24 page ebook exclusively available to Silhouette U members. It won't be offered for sale anywhere at anytime...the same goes for each new Silhouette U ebook that is released annually. 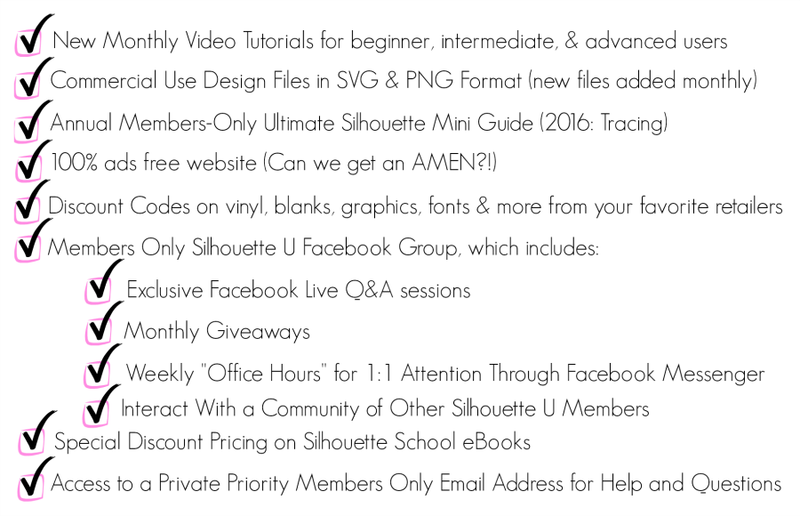 Each members-only special edition Ultimate Silhouette Guide ebook will be available for one year. When the new special edition ebook is released annually, the previous ebook will be retired. Forever. What types of giveaways will you be having every month? 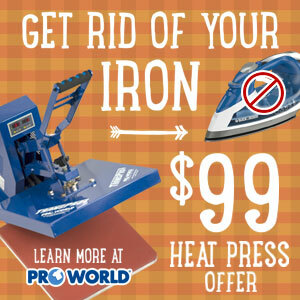 Prizes will vary from free commercial use design files to larger ticket items like heat presses (which we have three to give away over the next few months beginning in October). Giveaways will be open for entries the entire month. Can those living outside the US join Silhouette U? YES! AND everyone can participate in every.single.giveaway! Typically sponsors will restrict prizes to US only due to shipping and customs, but we - as in Bob and myself - are personally picking up the international shipping tab just so our international friends can fully participate in all the benefits of Silhouette U! Silhouette U members will be able to pay for their membership via Paypal, Credit Card or Debit Card. What is the price to join Silhouette U? Please, please, please make sure you confirm your subscription through the confirmation email you get otherwise it won't show that you've joined and we don't want that! This is fantastic! Congratulations to Silhouette School INC...Melissa and Bob! Thank you! We are very excited! Hope to see you at Silhouette U! Can't wait! Thank you for all you do.I'm ready! Can't wait for the launch! You have been such a blessing! You are too sweet! Thank you Erica. Love your site. I'm just learning how to use my Cameo and your site helps me alot. Even just learning the different things I can do with it. How exciting for you!!! I didn't get confirmation email. I checked my spam and it's not there either. I tried signing up to get email, but I never get them. If you will email me I can look up your email address. If you are not subscribed I will manually add you. I have not received the confirmation email. It has been approx. 20 min. since I signed up and still no confirmation email. Will you have projects to work on to learn 'hands on'? i have been trying to sign up for the silhouette u notices but keep receiving an error message when clicking "subscribe me". i am already registered for other silhouette school emails. If you email me I will manually add you :) Sorry for the trouble! This is so cool I can't wait to join. lol I can ask my kids....they are grown to make it my Christmas present. I like the above idea of letting my family know I want this for a Christmas Present!! It sounds like fun and learning new things. I got a Cameo for xmas last year only tried it Once ASHAMED to say I need BIG help!! I'm pretty sure I'm subscribed, but not sure I'm entered. Can't find a link for entering if already subscribed. I can't wait to see the results of your new school. I LOVE your blog! WOW!!!! This sounds amazing....can't wait for the launch!!! Super excited!! Can't wait! Great Job Melissa. Thanks for sharing your skill and passion! Looks awesome! Sounds so exciting. Thanks for a chance to win. I am also waiting on confirmation email. 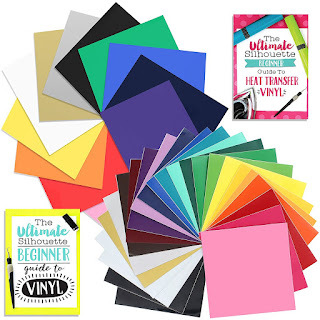 I will be getting the year subscription, I just love your books and your information in silhouette school has been such a great help, cannot wait to get started. I am going to export all of the email addresses that were entered into the giveaway widget and will manually enter them into the newsletter to make sure no one misses out! Sounds exciting — and it's very much needed too! Sounds awesome! By the way, your book made me a "cool mom" with my daughter. She was working on a wedding present, and we were stuck with a problem, and in minutes, we had the answer. It turned out beautiful,the bride cried with joy. Thanks again!! Have been wondering what your school was all about. Would be wonderful to win a chance to find out! Thank-you!! Congratulations Melissa and Bob on yet another venture! I know it will be as amazing as everything you've accomplished so far. I can't wait! I'm a long time subscriber. Silhouette U sounds awesome. I'm glad that Silhouette School will also continue. It's so helpful. Whenever I run into a problem with Silhouette, I know I'll find the answer here! I've been following Silhouette School for a long while. I consider myself an advanced Silhouette User, yet every week I learn something new! 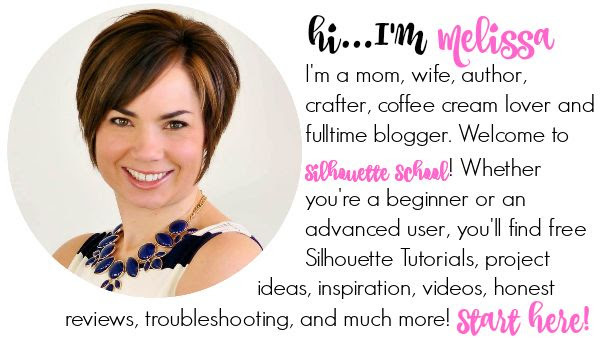 Melissa is amazing and I can't wait to see what she does with Silhouette U. You always provide fantastic learning opportunities! Silhouette U should be awesome! Can't wait! Hi...I signed up over an hour ago and still have not received an e-mail to confirm? I am already subscribed and I don't see any where that says"Collect info from visitors to verify this entry".) So I'm not sure how to register for this. This is terrific! I am very excited for both of you!! and for me!!! Best wishes for great success! Thanks for all that you do! I can't wait! I need something like this! Thank you! I am new to Silhouette (just got my 3 three days ago), so I'm looking forward to the university. Hello I signed up on Saturday for the membership site and have not yet had a confirmation email. I would really like to be apart of this membership. Melissa, I am not getting a confirmation email either. Please add me. Thank you!! Awesome! Congratulations! It's all very exciting! I haven't received the confirmation email. Could you please register me? Thanks for all the guidance. Excited to have it all in an easy access site. Your current site is the first place I go for help. And now a dedicated place with everything organized, just in time for Christmas gift-making and NO ads, hot dog! Count me in! Thanks!!! Yay! This is totally awesome! I can't wait! Congratulations Melissa on all that you have achieved!